Wellington is New Zealand’s capital city and is located in the heart of New Zealand. It is also the home of NZ’s world-famous movie industry. Sitting on a stunning natural harbour and surrounded by lush green hills, Wellington is a beautiful, vibrant and cosmopolitan city and region. 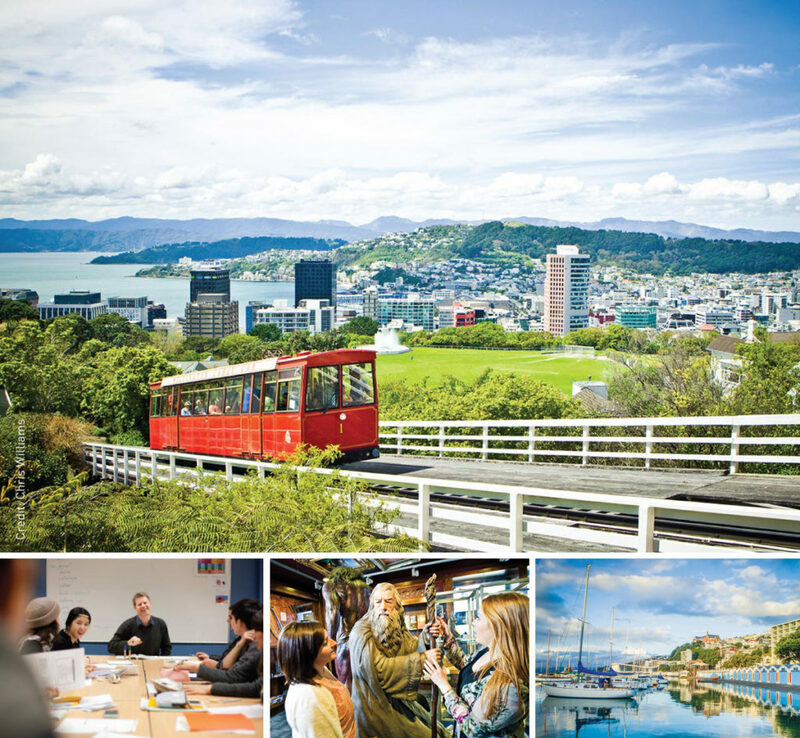 Wellington has a full range of education facilities, including three world-ranked universities and three highly regarded institutes of technology. In fact, over 15 tertiary providers, including the universities, reside within a 3 km radius of The Campbell Institute in downtown Wellington. Wellington is New Zealand’s innovation centre – home to world-leading gaming, interactive and web companies. The Hobbit, The Lord of the Rings, Avatar, The Hunger Games, Man of Steel, X-Men, The Wolverine, The Avengers, Iron Man 3, District 9, and many more films were filmed in Wellington or had visual effects created here. The Campbell Institute’s first campus was established in Wellington in 2002. Campbell has since grown to be Wellington’s largest and best known English language school. We offer a full range of programmes and levels, from General English, to advanced international exam preparation, to work and study programmes. We also work closely with other providers to provide exciting education packages and pathways. This makes Campbell Wellington a one-stop-shop for English language education. Campbell is a member of Education Wellington, a network of 50+ education providers in the Wellington region, all of which host international students.